We have discussed how the risk of an individual stock may be theoretically measured using the Capital Asset Pricing Model (CAPM), which theorizes that investors will buy a stock for as long as its return is proportionately priced to that of the entire market, and why the model doesn’t work for a country like ours. But there is another finance theory that requires putting different stocks together to maximize the returns: the portfolio theory. As I will discuss here, this concept can be used for energy planning. Although the literature is still scant in this field, some studies have already shown that a portfolio approach to energy planning will result to better and more robust outcomes for the economy. What is the portfolio theory in simple terms? An investor who puts two different stocks together in a portfolio, with each stock having its own risk-adjusted return will yield a total return that change in accordance to the behavior of the individual stocks. For example if the portfolio has two assets–Asset A, which is considered risk free, but only yields one percent per annum, and Asset B, which is considered high-risk, but yields 36 percent returns per annum. Asset A is priced at P50,000 apiece while asset B is priced at P1,000 per piece. We assume that the investor has enough money to buy any of the two assets. What would an investor choose? There is no straightforward answer. It depends on the risk appetite of the investor is. If the investor is conservative, then Asset A may be the wiser choice. 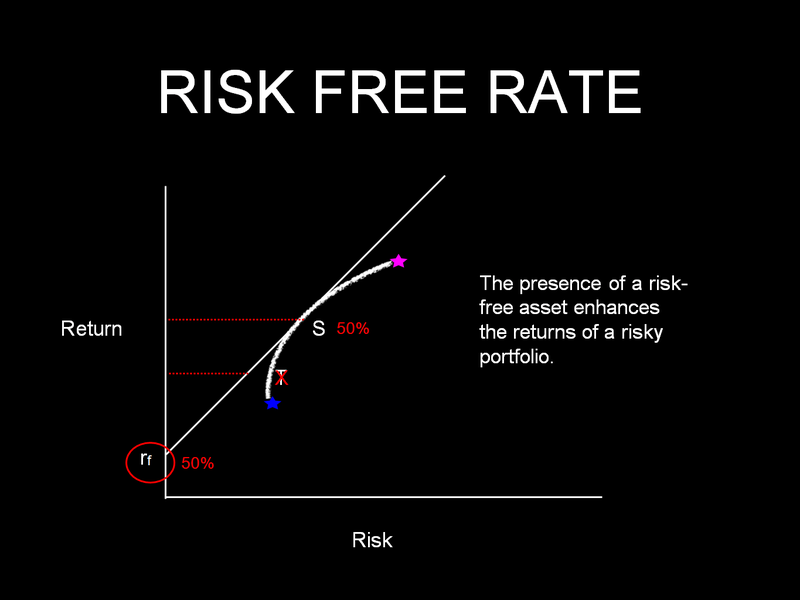 If the investor is a risk-taker, then Asset B would be a perfect investment. The world, in fact, does not have only two assets, which allows an investor to choose from a whole spectrum. And the choices do not have to be just one asset in that spectrum. The investor can put the money in different assets or in slices of each of these assets, allowing the investor to diversify both risk and investments. . This is the portfolio theory developed by Nobel Prize winner, Harry Markowitz, which says that risks can be minimized at any level of expected return if the investor mixes assets in a portfolio, combining high and low or zero- risk assets. An investor should look at the best combination of stocks in a portfolio rather than invest all of the money in one. In the example earlier, an investor who combined Assets A and B in one portfolio would have maximized the return since the less risky asset enhances the returns of the portfolio. The investor puts together the assets in proportions that will make him comfortable with the associated risk for each asset. If there is a combination that will either give a higher return with the same risk, then investors will go after that asset or group of assets. Conversely, if there is an asset or portfolio of assets that will give the same return but for a lower risk, then investors will all flock to buy that asset or portfolio. Thus in an ideal world, there will eventually be an equilibrium, where all these assets are properly priced in what is known as an efficient portfolio frontier. It has some calculus in determining this frontier, but for us laymen, it is sufficient to imagine that such a set can exist. How do we relate this to energy planning? I have argued that the application of “least cost” planning method is insufficient and inadequate in today’s environment. For some reason, the probabilities for “Black Swan” events seem higher, and, therefore, any good planner must always consider risks in the planning framework. Unfortunately, the current method of planning takes into consideration the probabilities and excludes measuring risk. This is why a hydropower plant that costs; let us say US$4M per megawatt to build is considered more expensive than a US$2M per megawatt coal-fired plant. Yet, especially for the Philippines, the price of coal cannot be predicted. The price of water is easy: zero. So, which one is cheaper for the Philippines — the coal-fired power plant or the hydropower plant? Now the answer is not straightforward anymore. If we can live with unpredictable prices, we can live with the coal-fired power plant. On the other hand, if price stability is important to us, then the hydropower plant is the better choice. I am, of course, assuming away technical differences like plant factors and issues like carbon emission and hydrology. At the risk of oversimplifying the analysis, I am saying that the choice between a coal-fired power plant and a hydropower one boils down to how much we want to be at risk to global prices. It is a choice between a risk-free asset (the hydropower one) and the riskier coal-fired power plant. Just like the financial asset, the answer might be to combine the coal-fired power plant and the hydropower one, depending on how much risk we want to take. And this decision is one that is difficult to process in a democracy or in a deregulated sector. This is why the current “least cost” approach of electricity system planners is deficient and no longer applicable to today’s reality. Most planners would choose coal-fired power plants over the renewable energy power plants like hydro or wind since the coal ones would be considered as “least cost.”This “cost”, however, does not consider the risks involved. What are the risks involved of being highly dependent on fossil-based power generation? According to the Energy Information Agency (EIA), there has been an increasing demand in fossil fuels for the last 30 years and estimates show that oil can possibly last up to the next 20 years given the rise in consumption. Fossil fuels, after all, are natural resources, which are non-renewable. And as the law of supply and demand says, fossil fuel prices are likely to shoot up in the next decades when supply slows down while demand increases. Although the prices are down today, no one can really predict when the next up-tick will be. Similar data found in the BP Statistical Review of World Energy published in June 2014 echoed the claims of EIA. For 2013, both consumption and production increased for all fuel types except for nuclear power. However, consumption outpaced production for the top three fuel types—natural gas, coal and oil. World consumption for oil increased by 1.4% in 2013, but oil production only grew by 0.6%. Similarly, the global consumption of natural gas accelerated by 1.4%, but production only increased by 1.1%. Coal, which was the most consumed fossil fuel type in 2013, posted a growth of 3%, but world production only grew by 0.8%, the slowest production growth since 2002. Clearly, using the favored fossil fuels is risky since prices are highly volatile. And if price stability is what we want, then reliance on fossil fuels is the wrong way to go. The Energy Regulatory Commission (ERC) of the Philippines currently uses the CAPM as the basis of determining the appropriate tariff of EACH power plant. Right away, one can sense the problems with this approach: a) the CAPM does not work in non-efficient economies; b) even if it does, how does one calculate the betas; there are not enough companies to represent the “market” and c) the regulatory body should be looking at an efficient PORTFOLIO rather than individual assets if the country is to gain from the application of the CAPM as a regulatory basis for tariff setting. These regulatory issues will be discussed some other time. The point I would like to make here is: power planning in this country should be looking at the risks associated with costs rather than on costs alone. Otherwise, our country might lose its chance for real economic growth. Faulty energy planning, after all, also means throwing away our single most important resource: our natural resources.